I have recently been both overwhelmed and impressed by the creative interior design options for babies and children. From luxury bedding and luxe furniture options to fabulous boutique chic room themes and over-the-top one-of-a-kind designs, ‘Posh Tots’ now have a whole design category of their own. 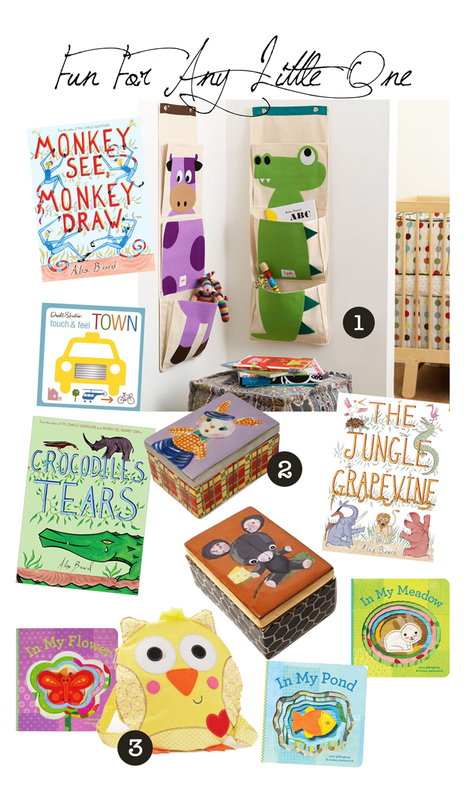 Check out some of my current favorite children’s rooms from Stanley’s Young America Collection, Dada and Letto Bambino! 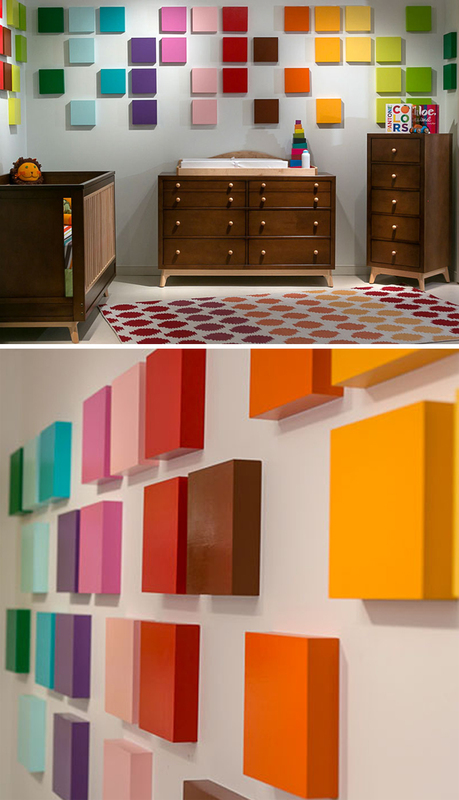 This room was called ‘Paint Box’ and was in the Stanley Furniture showroom during the April High Point Market. I love the Pantone DIY (Do-It-Yourself) concept of color blocking. What a great way to add creativity and interest without the expense of artwork. Here is another room in the Stanley Showroom. They titled this room ‘Flock’ after the thousand multi-colored origami paper cranes. 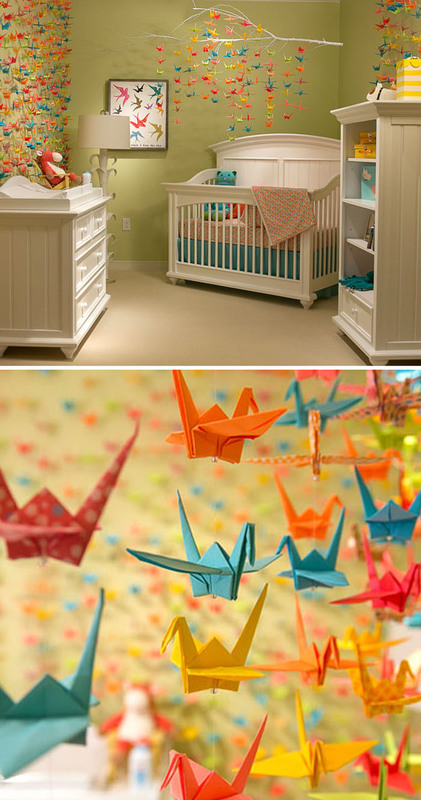 It is thought to be a powerfully lucky and benevolent charm to have 1,000 paper cranes hanging in a babys’ room. This Japanese legend promises the baby a long life full of good luck. As the child grows older they are supposed to distribute the cranes as gifts to loved ones for birthdays, weddings and major life events. This room was called ‘Fly.’ Notice the bird house details and the clever tree wall mural. I really like the symbolic concept of a ‘nesting’ place in a babies room and having birds watching over the sweet dreaming baby. 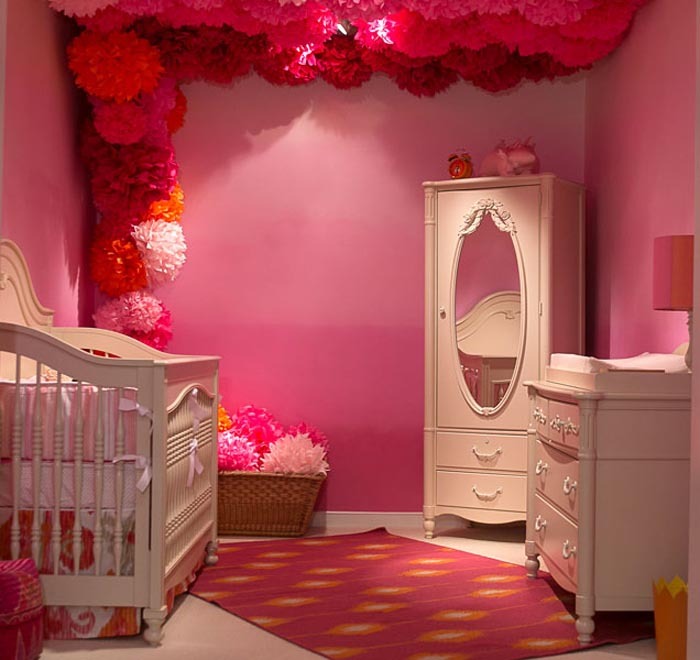 This room was called ‘Fantasia.’ I really wanted to share this room because not only does it maximize a smaller space, but the flower poms are a low-budget high impact decor element. They could be created in any color scheme, size or shape. We discovered the Italian vendor, Letto Bambino, while working on private residence for Castello di Casole. I love how angelic and peaceful this space is. Here is another view of the room. The layers of white and different textures within the room create a sublime serene feeling. This chic monochromatic room is from French vendor DADA HOME. What really caught my eye about this room was the clever horse task table/desk. I’ve included an additional image of that piece below. 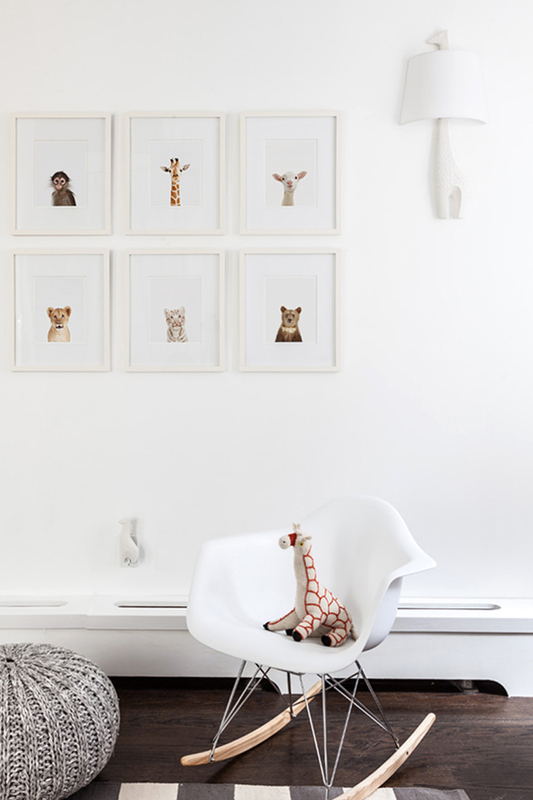 This room was found on The Animal Print Shop blog. 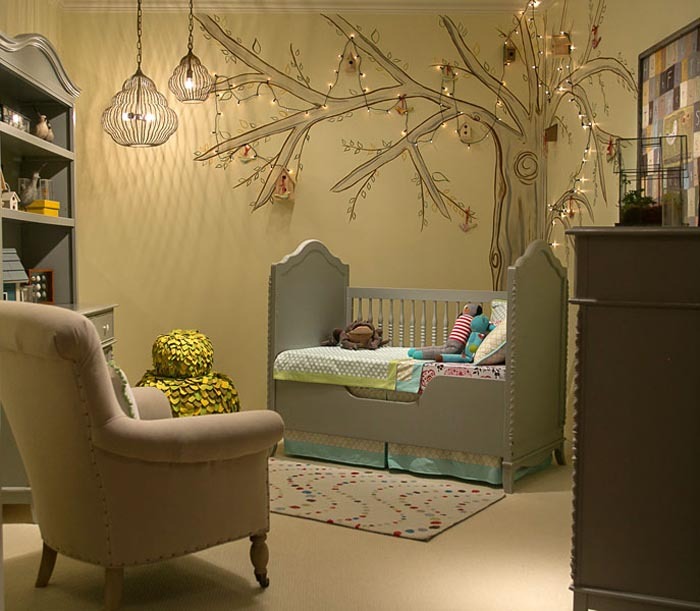 It is a perfect gender neutral modern approach to a nursery. I think any baby would have fun seeing these cute faces each day. All of these furniture items are available through J Banks Retail. In addition to overall room design are some to-cute-and-clever-not-too-include products! 1. Hanging alligator and cow wall storage by Rosenberry Rooms 2. Porcelain Trinket Boxes perfect for a first curl or special memento (Available in J Banks Retail) 3. Owl Backpack. All of the pictured books are available in the J Banks Retail store.